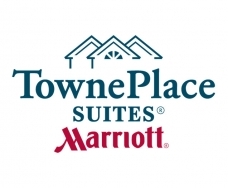 The NEW TownePlace Suites by Marriott Missoula, MT is an extended-stay hotel where you can balance work and life as you like, with the comfort, flexibility and affordability you require. It is the ideal choice among Missoula, MT hotels. TownePlace Suites hotel is perfect for extended stay, relocations, leisure, business and groups. Located directly off I-90, minutes from Missoula International Airport, with free breakfast and fully equipped kitchens in the hub of Missoula activities. Relax and refresh in our extended stay hotel's studio, one or two bedroom suites featuring kitchens, roomy living areas, flat screen TVs and free Wi-Fi. Enjoy our fitness room, business center and outdoor seasonal pool. Next to Washington Corp., convenient to UPS, FedEx and the University of Montana campus. Walk to Johnny Carino's, Montana Club, Blue Canyon and many more restaurants. Spend your leisure time at Rocky Mountain Elk Foundation, hike Mount Sentinel or walk the scenic Rattlesnake Wilderness area or enjoy a University of Montana Griz football game, run in the annual Missoula Marathon or shop at North Reserve shopping centers and Downtown Missoula boutiques. Whatever brings you to Missoula, feel right at home at with us. Simple, Fresh, Friendly, Real and Local makes TownePlace Suites more residential community than hotel. Each guest room allows travelers to make the best of long road trips. Go ahead, rearrange the furniture, bring your favorite recliner or your beloved dog.